Hesston College Vice President of Academics, Brent Yoder, has announced Mike Baker, Andover, Kan., as the new director of aviation. His first day will be July 9. Baker comes to Hesston from the U.S. Department of Transportation/Federal Aviation Administration (FAA) – Wichita Flight Standards District Office (US DOT/FAA – FSDO) where he has served as front line manager in the General Aviation Operations Unit and Flight Safety International Certificate Management Unit since 2014. In his role, Baker supervised principal operations inspectors and aviation safety inspectors, conducted or assisted with accident and incident investigations, pilot deviations, complaints, waiver issuance and provided safety oversight for aviation events in a jurisdictional boundary. “Mike has extensive experience as a pilot, instructor and inspector within the aviation industry, and his experience and connections will serve the department well as we prepare to launch a bachelor’s degree program in aviation,” wrote Yoder in an email to campus announcing Baker’s hire. Baker succeeds Dan Miller who served as director of aviation from 1999 until his unexpected death in April 2017. 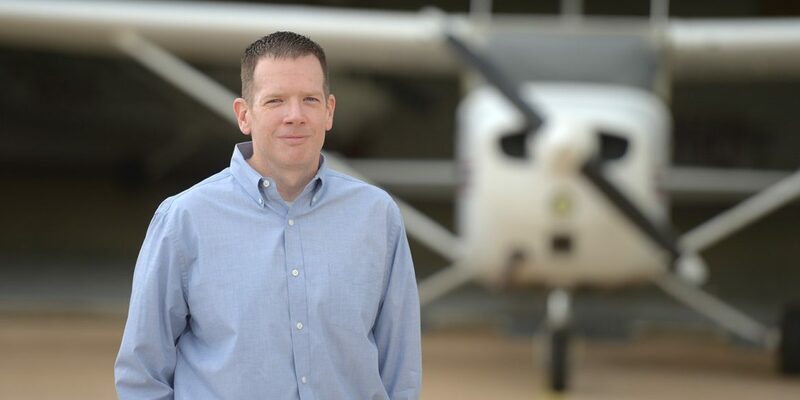 A 1993 graduate of Hesston’s aviation program, Baker assumes his new role as the college is working toward expanding the program to a four-year bachelor’s degree program by fall 2019. Baker’s other work experiences include roles within US DOT/FAA – FSDO such as principal operations inspector, aviation safety inspector, ground/simulator/aircraft instructor with FlightSafety International (Wichita), and manager, flight trainer/chief instructor/instructor pilot with International Flight Training Academy (Bakersfield, Calif.). He also holds a masters of business administration degree from Tabor College (Wichita, Kan.) and a bachelor’s of science – professional pilot from Utah Valley State College (Orem). Hesston College has operated a pilot training program since 1970, and added an air traffic control program in fall 2009, which is one of 36 FAA-approved Collegiate Training Initiative (CTI) programs nationwide and the only one in Kansas. The program offers a private pilot certificate, instrument rating, commercial pilot certificate, multiengine rating, certificated flight instructor – airplane, certificated flight instructor – instrument and certificated flight instructor – multiengine.